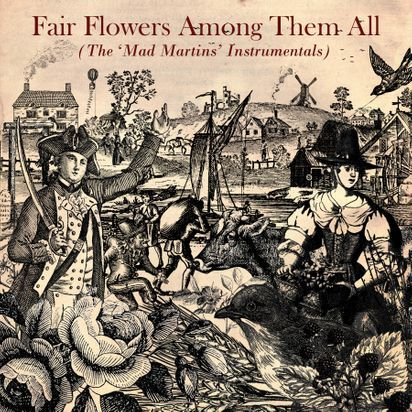 Fair Flowers Among Them All (The 'Mad Martins' Instrumentals) is a collection of all the instrumental backing tracks to the spoken-word pieces that appear on the 'Mad Martins' 3xCD/104-page Book set. It also includes the orchestral backing track to the song 'In My Hands'. The CD is housed in a beautiful-looking card wallet, designed by Helen Temperley at Winkin' Bitsy, and is intended to compliment the design of the 'Mad Martins' 3xCD/104-page Book set. 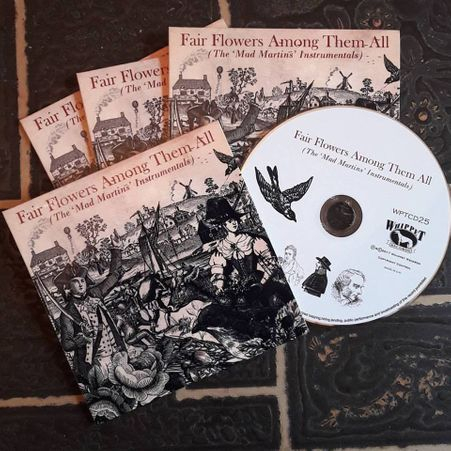 Fair Flowers Among Them All (The 'Mad Martins' Instrumentals) is a lovely little limited edition collector's item and companion piece to the 'Mad Martins' 3xCD/Book. © 2017 Gary Miller Songs / Whippet Records. All Rights Reserved.